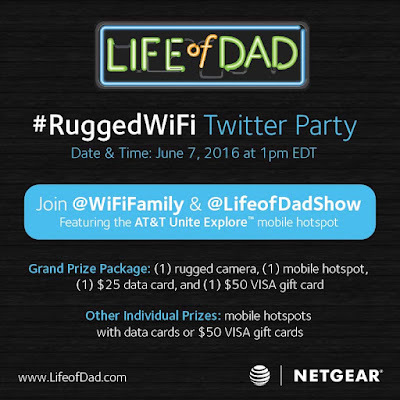 I have partnered with Life of Dad and NETGEAR and WiFi Family for this promotion! 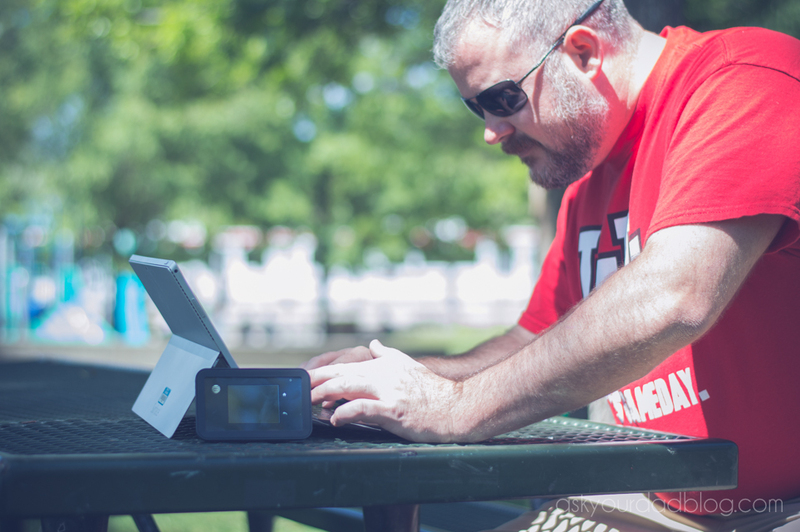 Recently I teamed with Life of Dad and WiFi Family to try out their new WiFi hotspot, the AT&T Unite Explore by NETGEAR. 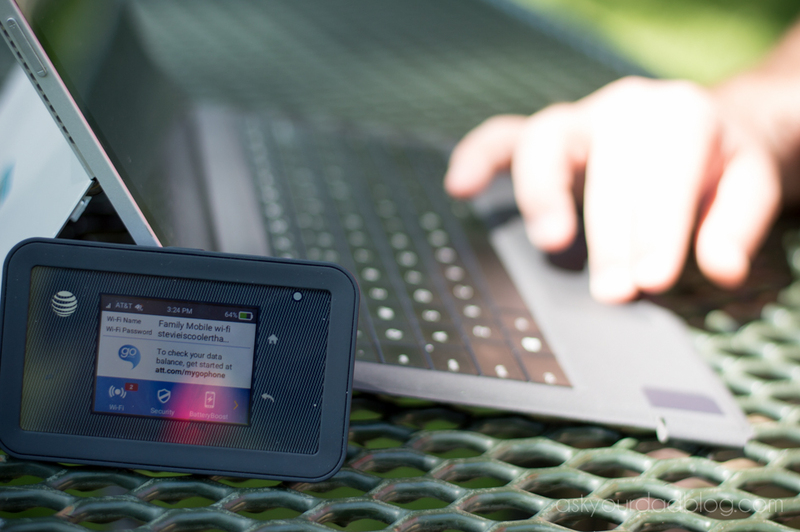 It’s a rugged little box that functions as a wireless modem for up to 15 devices. We’re not quite to the 15 devices threshold in our family, but when it comes to the kids watching Netflix, Stevie working on her blog, and my occasional need to work remotely, it has been pretty great to have this little box around. Here’s a couple ways it came in handy over the weekend. On Saturday morning we decided to go hiking. I tossed the hot spot in one of the smaller pockets in my million pocket backpack and headed up the canyon. I also took a picture of it in the car… because why not. Midway through our hike, Duchess wanted to show one of the plants she found to her Grandma. Her grandma is in Oregon, but she wanted to call her on “The Facetime” to show her. Huzzah! A chance to use the hotspot! I reached into the bag to get the WiFi box and through some sort of fumbled million pocket search managed to dump it onto the ground and halfway down a dirty embankment. I went, grabbed it, dusted it off, and went back to show it to her. OK. All of that except the dialogue happened. I dropped it. It was fine. She video chatted her Grandma to tell her about the Magic Norwegian Elm tree we saw. The hike was great. The kids got to convene with nature. On the way home we let them have the iPads. I have to admin, after the joy I experienced answering a million questions about nature, it was nice to experience a quiet connected ride home! I did want to go. I wanted to not be in my office on my computer any more, but I had work to do. I know. I know. I shouldn’t be working on the weekends, and honestly, it is very rare. But I had work to finish before my meeting this morning. “Sorry honey. I want to go, but I have work to finish up.” I replied. “But John, we have the AT&T Unite Explore Mobile Hotspot! Remember?” Stevie said, pulling out the tiny box with its rubber case and durable screen. “Oh, yea. I’d forgotten that we had it and were trying it out all weekend. Is that it there?” I said. OK, not all of that happened either. I did have some work to finish though, and I was excited to give the hotspot a try at the park. Stevie played with the kids, and I played with an Excel Doc. 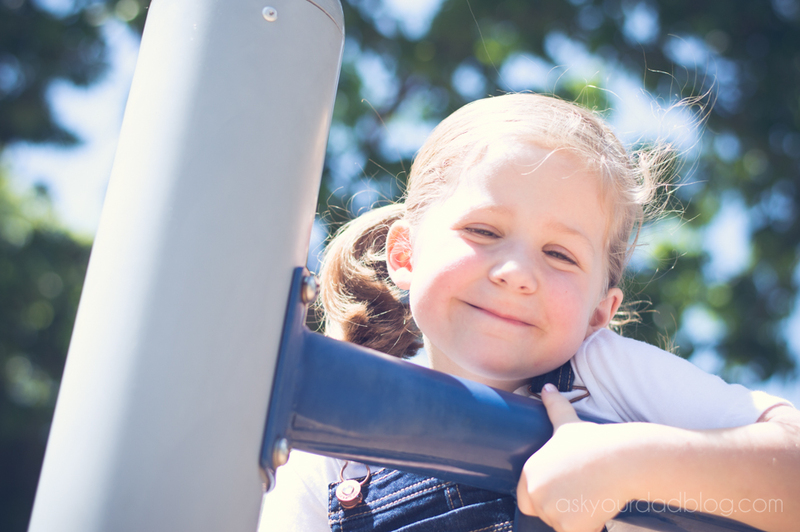 When I was done we all played together, and since I was still connected to the Wifi I was able to stream a video of my kid almost falling off this evil spinny seat thing! All tongue-in-cheek sponsored content joking aside, if you’re looking for dependable WiFi for multiple devices, the AT&T Unite Explore by NETGEAR works great. You could fill a minivan with iPad watching kids and every one of them could be watching a different episode of My Little Pony Friendship is Magic… hopefully with headphones. The things I liked about it was how simple it was to set up and connect to, how easy it was to change the password, and the timer function which allowed me to set it for 30 minutes and then shrug my shoulders and blame the hotspot when screen time was over. Join me, a bunch of other dads and the Life of Dad Crew on June 7 for a fun twitter party! Info below! The device has a serious flaw (other than Netgear's clueless support). It will not charge from just any USB power adapter. So far I have not found a 12V USB power adapter for our car that will charge this "mobile" hotspot. 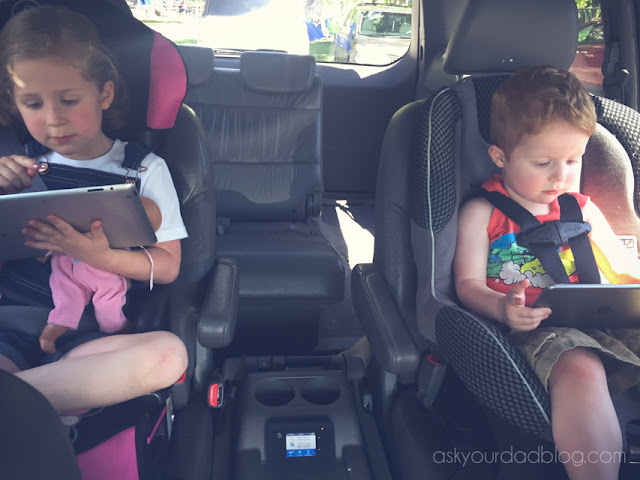 Who would want to charge a mobile hotspot in their car? I asked Netgear's support what I needed to charge the Explore in my car and they could not provide an answer. I am now waiting for a response from their escalation engineers. It would be great and good. It will be a great device for the WiFi hotspot. We can have a nice hiking with this device. Go through law essay writing service if you have in a need of writing assistance.